Captain Kel Cheris of the hexarchate is disgraced for using unconventional methods in a battle against heretics. Kel Command gives her the opportunity to redeem herself by retaking the Fortress of Scattered Needles, a star fortress that has recently been captured by heretics. Cheris's career isn't the only thing at stake. If the fortress falls, the hexarchate itself might be next. Cheris's best hope is to ally with the undead tactician Shuos Jedao. The good news is that Jedao has never lost a battle, and he may be the only one who can figure out how to successfully besiege the fortress. The bad news is that Jedao went mad in his first life and massacred two armies, one of them his own. As the siege wears on, Cheris must decide how far she can trust Jedao--because she might be his next victim. Yoon Ha Lee is a writer and mathematician from Houston, Texas, whose work has appeared in Clarkesworld, Lightspeed and The Magazine Of Fantasy and Science Fiction. He has published over forty short stories, and his critically acclaimed collection Conservation of Shadows was released in 2013. He lives in Louisiana with his family and an extremely lazy cat, and has not yet been eaten by gators. 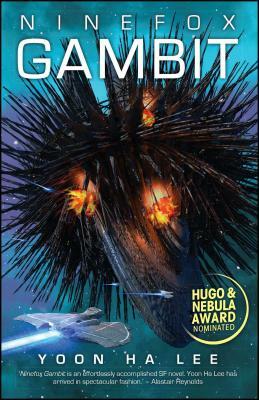 "A dizzying composite of military space opera andsheer poetry. Every word, name and concept in Lee's unique world is imbued witha sense of wonder." "Astriking space opera by a bright new talent." "Ahigh-octane ride through an endlessly inventive world, where calendars areweapons of war and dead soldiers can assist the living. Bold, fearlesslyinnovative and just a bit brutal, this is a book that deserves to be on everyawards list." A tight-woven, complicated but not convoluted, breathtakingly original space opera.